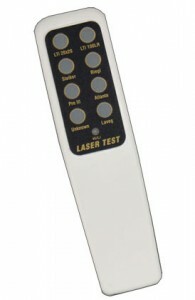 Home > Is Your Laser Jammer/Detector Working Properly? Is Your Laser Jammer/Detector Working Properly? Police radar enforcement is much more popular then laser enforcement so unless you been recently targeted lately with a police lidar gun there is no real way to know if your laser jammer and/or radar detector is properly detecting laser. Therefore I recommend that you test your jammer/detector at least once a month. However a good police laser gun is going to set you back at least 2-grand and that is only one of many types of laser guns that are out there. Because of this we recently developed a new hand held laser jammer-testing device called the RB-905.